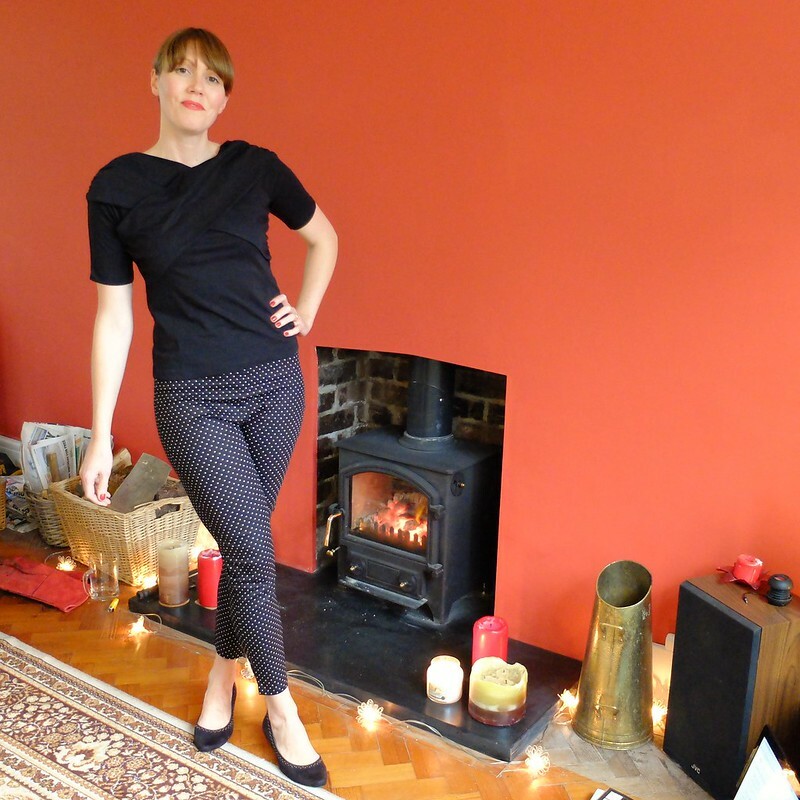 I ordered some of the new stock from affordable vintage-inspired brand Lindybop, including the 'Divine' rockabilly top in black, and the 'Bethan' ankle-grazer trousers in pin-spot. I wasn't convinced that either would fit, as I have had a bit of hit and miss with Lindybop in the past (read all about it in my post 'Lindybop Dresses: Size and Fit'), but I thought I'd give them a go. Read on to find out about the fit and quality, and whether I'd recommend them. First of all, the top. It's a nice quality jersey with a bit of stretch, and it fits true to size. The length is long enough to tuck into skirts, but not as annoyingly long as most high-street tops. I think that it sits a little oddly on me, perhaps because my shoulders might be broader than most, so you don't really get the off-the-shoulder look that is perhaps intended. It's so-so, therefore my verdict is to return it. Next up is the trousers. They're a lightweight cotton, with a tad stretch, but they fit true to size. They fasten with a side-zip and so work brilliantly for me. They are not true high-waisters, but they sit much higher than high-street trousers, and they don't have pockets. I think far too many trousers are ruined by pockets, they can spoil the whole silhouette and make one appear to have 'saddlebags'. I found the length perfect for my 33" inside leg, they perhaps are a tad high to graze my ankles, but the length works for me nicely. 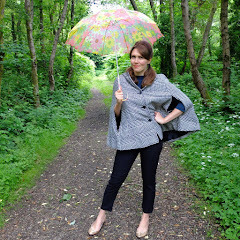 There's enough room for muscular thighs, and the cut doesn't go too slim on the calves, which can look a bit top-heavy. I'm impressed - my verdict is to keep them! The 'Bethan' trousers are £24.99 and also come in leopard print, black, navy, red and denim. 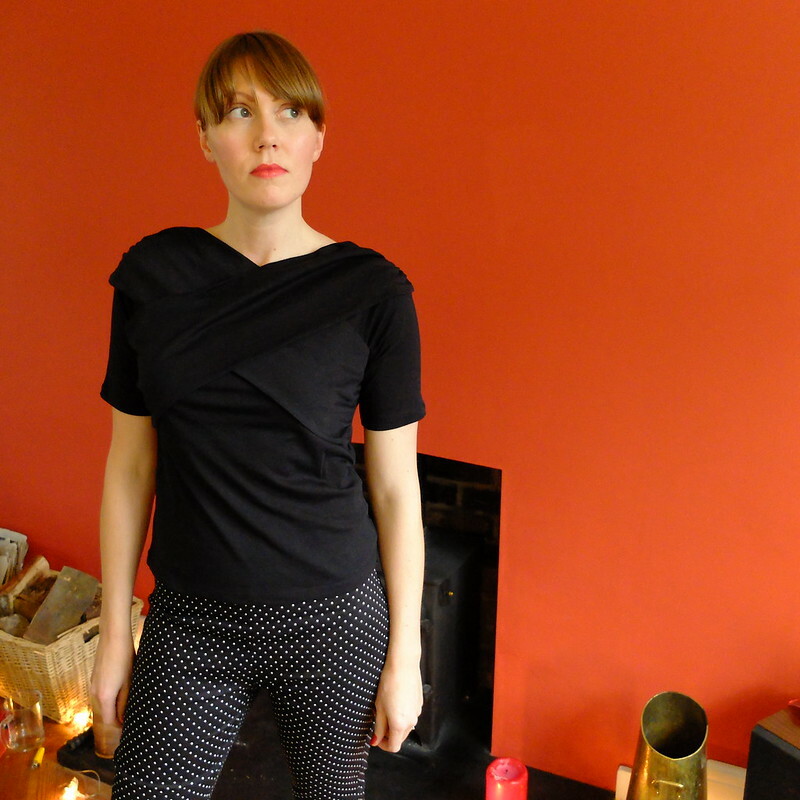 The 'Divine' top is £14.99 and only seems to come in black presently. Do let me know if you end up trying either of them! 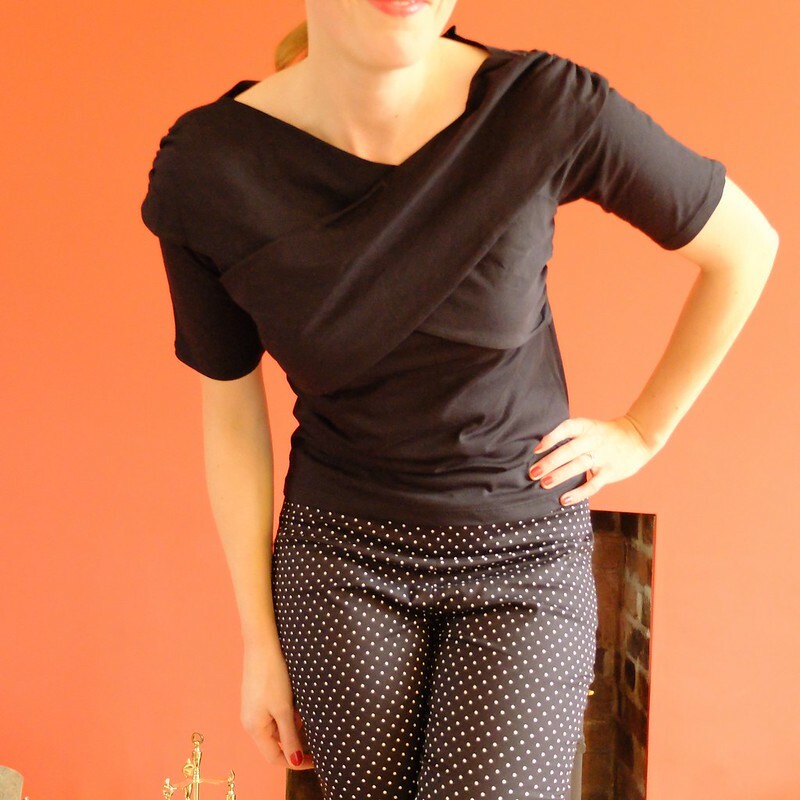 I think if you want a top similar to that one, but with much better style, you should try Collectif Celina top. It sits much better and I have it as a pencil dress. It's so warm on colder days but runs quite large, so if you are between sizes, I'd recommend getting a smaller one if you're interested. But as far as their tops go, most of them are cheap copies of clothing made by other repro brands (like Pinup Couture Doris top that is named Cylla by Lindy Bop) and now this one. Well, you can't avoid that since most brands take inspiration from true vintage models, but somehow I see the similarity all too well with some Lindy Bop items. Ooh, I've had my eye on these, but the price made me suspect they'd be too good to be true! Think I'll definitely order a pair now that I've seen them, though, although I'm guessing I'll have to hem them to accommodate my stumpy legs! I also like the top, but know what you mean about the design: Collectif have a similar one right now which looks nice, but I think would probably be problematic to actually wear: it does look good on you, though! Love the pants on you! I think you made the right decision about the top. You can do better. Love those pants on you! A perfect fit! I totally agree with the pockets observation! It's a shame when pockets ruin the silhouette of otherwise great fitting pants. So glad this wasn't the case with these! What a sweepingly elegant shirt - love!!! I could see that looking amazing with a full length skirt and some swanky jewellery for an evening or party look - new Year's Eve really jumps out at me. You look fab, dear gal! 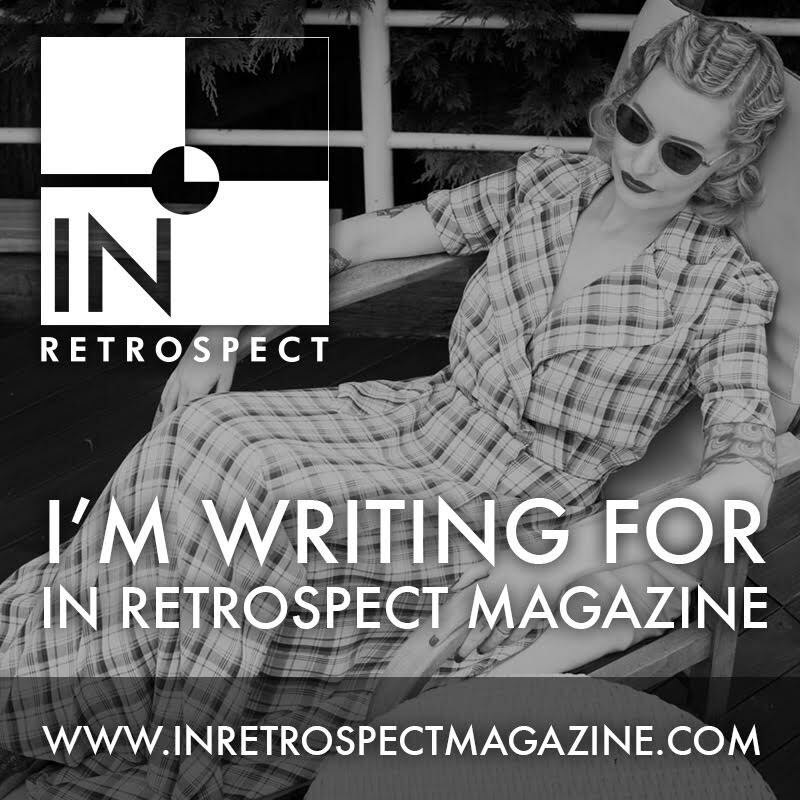 I've just stumbled across your blog for the first time today, and the Lindy Bop brand too, but on the strength of how fab those trousers look on you (I'm a similar size and shape - I'm assuming you ordered a size 12? ), I have ordered a couple of pairs to try. I just hope they look as good on me! Yes size 12 for me, 29" waist and 39" hips approx. And I am 5'9". Good luck, do pop back and let me know how you've got on! 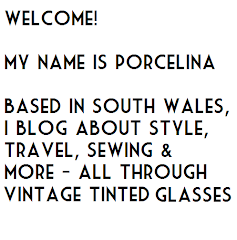 Thanks, Porcelina! 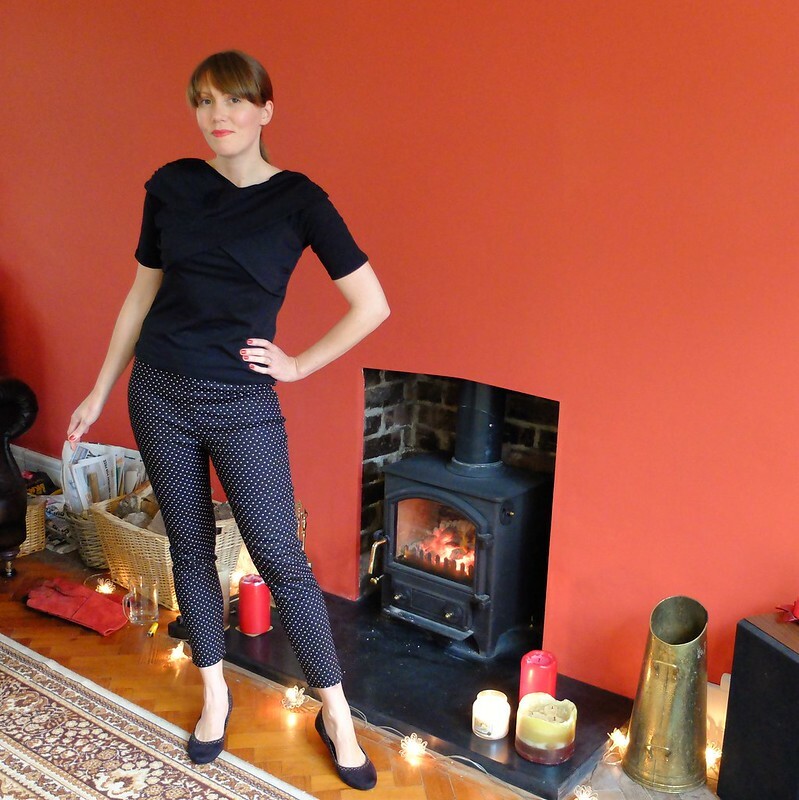 I'm very pleased with the spotty trousers, but I also ordered the navy ones and strangely they are a completely different fit - higher waisted, smaller and generally not very comfortable, so they'll be going back. It is odd, isn't it? I've returned them, with a lengthy description of what was wrong with them, so Lindy Bop can investigate! Those are great trousers on you. Oooh, I see they've got a 'Made in Britain' category now - that would assuage my fears about sweatshop manufacture. I purchased the navy twill trousers last week, they arrived and I was so excited only to be very disappointed in the fit, I like my trousers to be a hugging fit and they are a tiny bit too baggy for my liking, not ultra baggy or anything just not figure hugging. Unsure wether or not to return and get the size 6 because unsure if the size 6 will be a little too small.